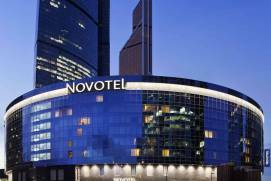 All the largest hotel chains are represented in Moscow. 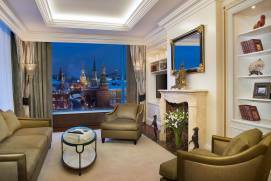 The average price of a room in Moscow is about 80 euros (6000 rubles). 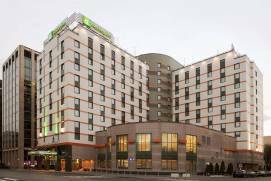 A bed in a hostel can cost 5-10 euros (400-700 rubles). 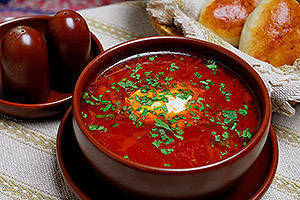 A lunch price in Moscow varies from 2 euros for fast food to 15 euros and more for lunch in a restaurant. 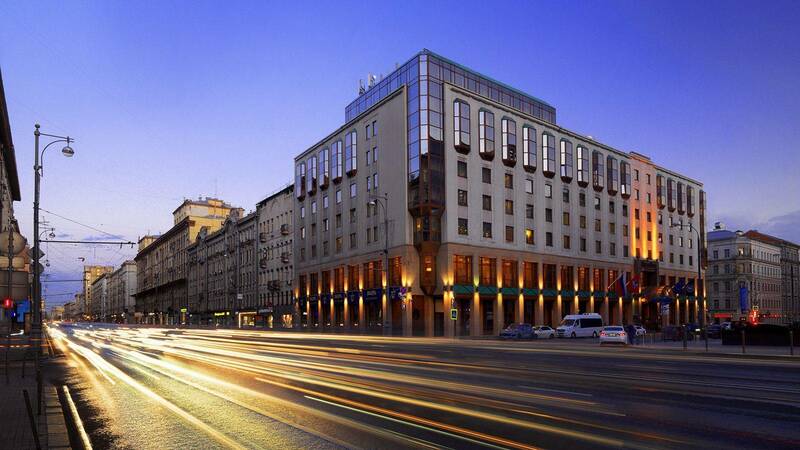 The total rooms available in Moscow, including mini hotels and hostels, is about 50,000 rooms. 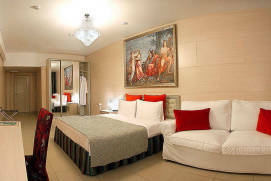 This enables the tourist to have a lot of choice in all accomodation categories. 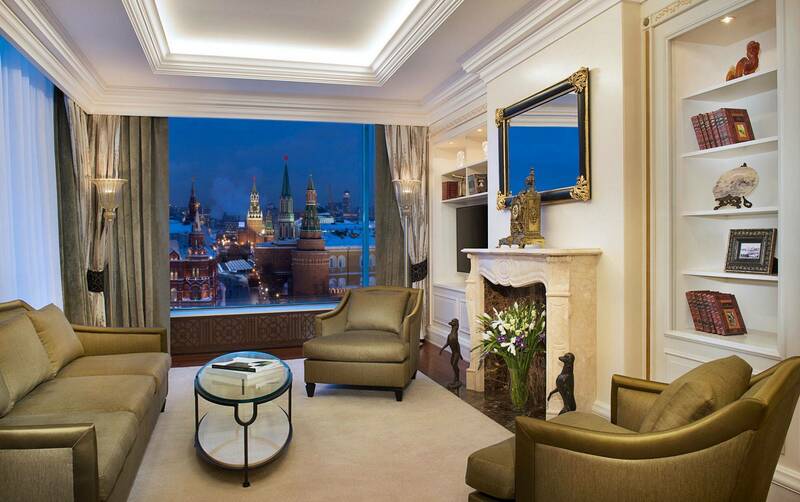 In addition, Moscow is building its vacation rental industry through the use of online booking services. 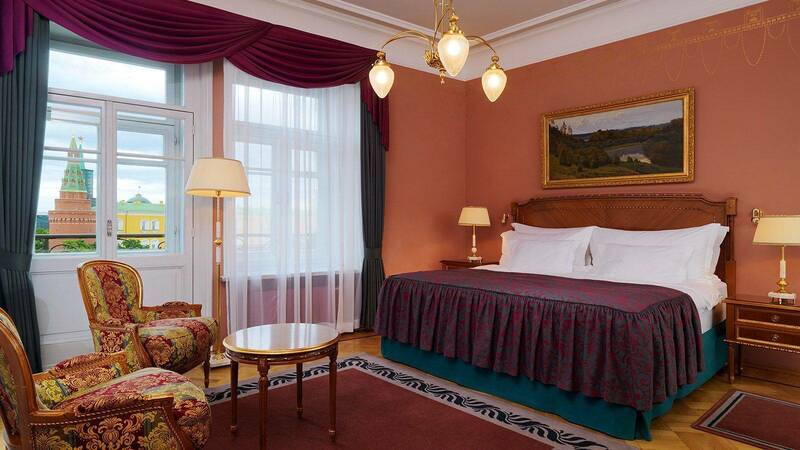 Whilst many hotel options exist, if the hotel is not considered luxury, the tourist shouldn’t expect too much. 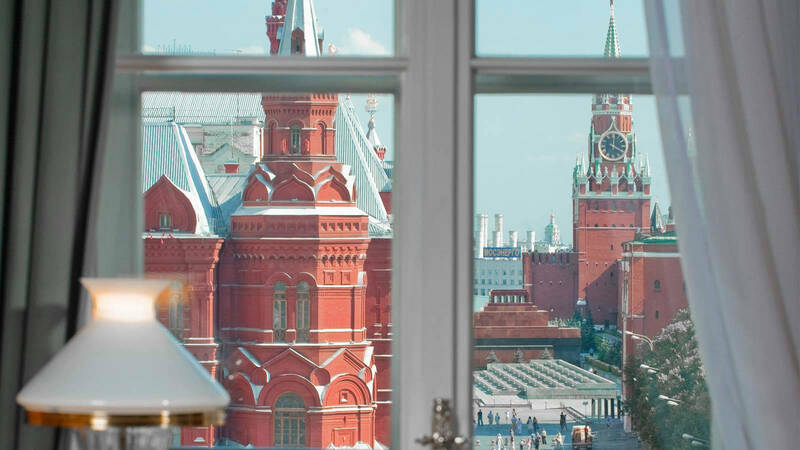 Many hotels were built 30 or more years ago, in the Soviet era, when the attitude towards guests and the guests’ requirements were totally different. 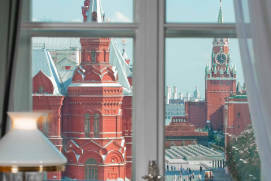 Read our Frequently Asked Questions about the Kremlin for information on where to stay near Red Square. 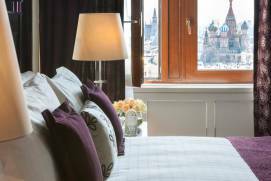 The slump of the Russian ruble in 2015 was to the benefit of foreign tourists: before 2014, Moscow was considered in the top five European cities as judged by the price of hotels. 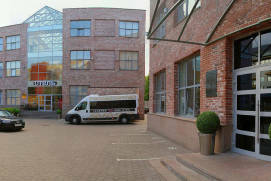 Staying for a night even in a mediocre hotel could cost over €150, while today the average price per night is about €70. 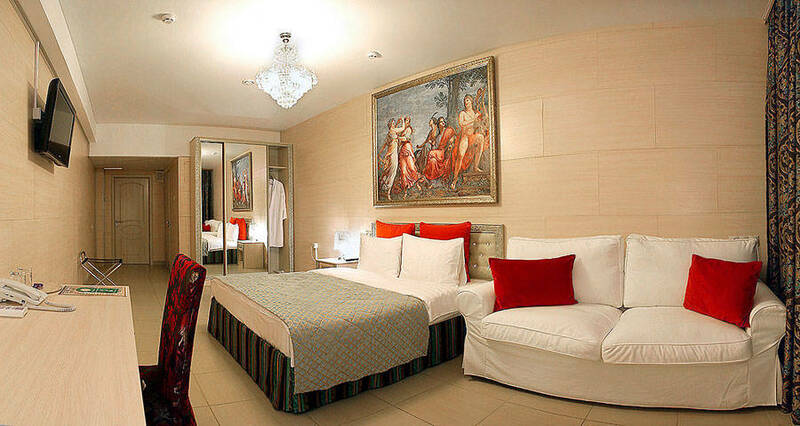 However, the price may vary from €5-10 (for a bed in a hostel) to €500 for a room in a high-end five-star hotel. 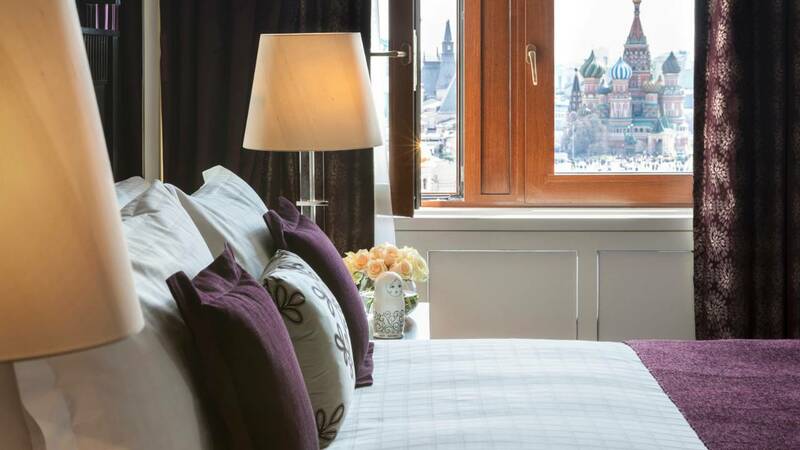 It’s easier to choose from the segment of 4 to 5 stars, as it embraces most of the world’s major hotel brands: Hilton, Marriott, Hyatt, Novotel, Radisson, Four Seasons, Holiday Inn, Sheraton, Ritz Carlton, Best Western, and others. 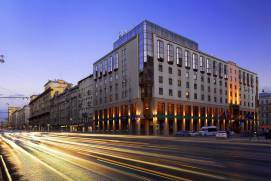 The category also includes the signature, historic Moscow hotels of Metropol (1905) and National (1903), classified as five-star and located only a few steps away from Red Square. 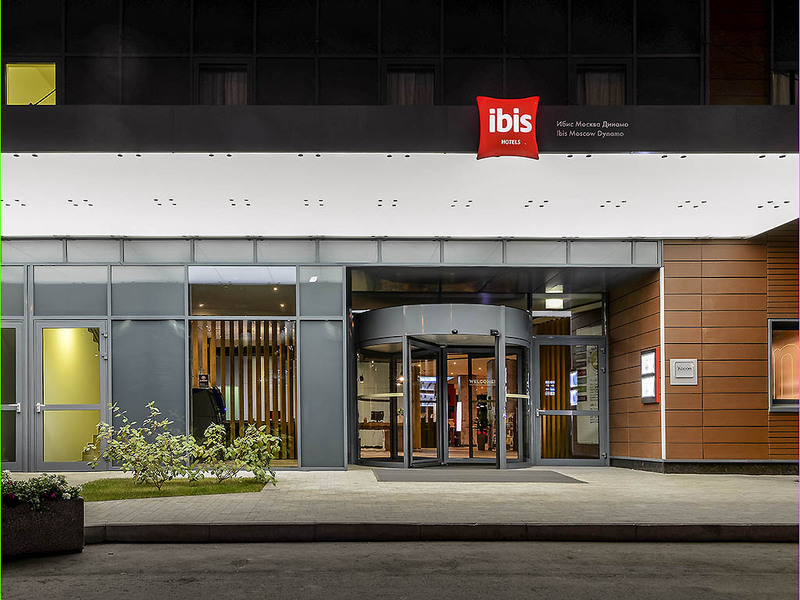 If you happen to be on a low budget, you’ll have to take need of ratings and reviews, as there are few well-known hotels among those rated three stars or lower (like Ibis or Hampton). 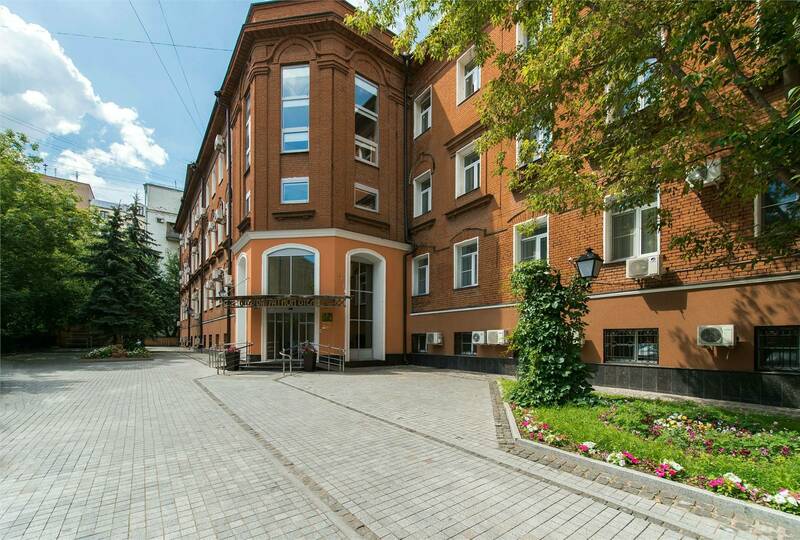 It should also be considered that properties within the central Garden Ring(Russian: Sadovoe kol’tso or Садовое кольцо) costs twice as much or even more than in the suburbs. Therefore, distance frpm the Garden Ring considerably affects the price of rooms as you move from the periphery to the heart of Moscow. Take need of reviews left by foreign tourists. You probably can easily walk 15 or 20 minutes to a metro station in summer, but it can be an uncomfortable time in winter or late autumn, when it is often humid or very cold and it gets dark early. 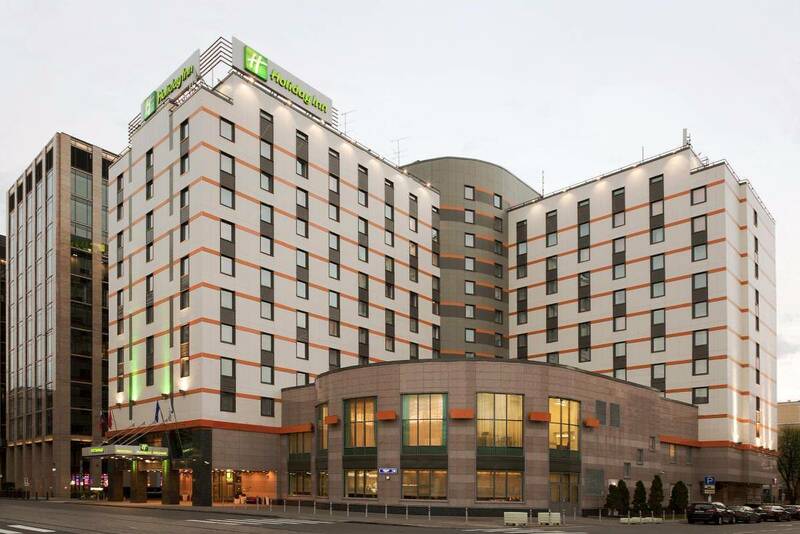 Most Russian public transport is not designed for foreigners, so you’d better count on the metro or taxis only and choose your hotel location with this in mind. 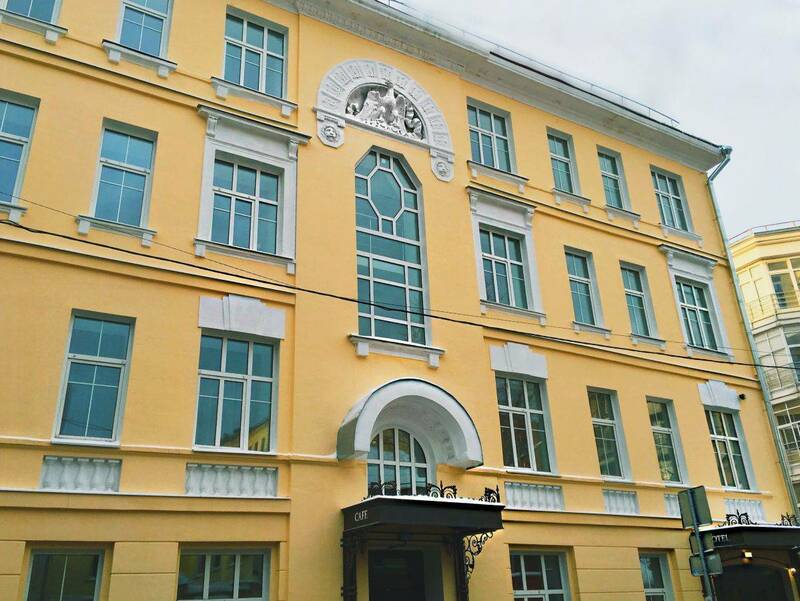 Many hostels are illegal, representing converted apartments in tower blocks. Neighbours and the police are usually not very happy with this. 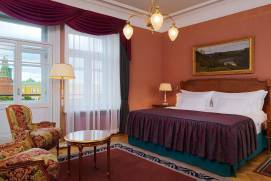 Don’t forget that the host party should register your visa in the Federal Migration Service. 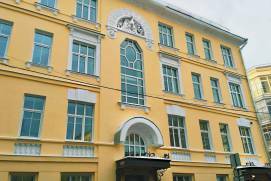 If your hostel, hotel or host does not provide you with any documents, you won’t be able to prove that you didn’t stay at your friends’ and didn’t violate the law. However, this only applies if you are going to stay more in the country for 7 or more days. Quick and hearty €5–6 breakfasts are available in restaurant chains in any central busy street or by almost any metro station. Even if you are in a beautiful historic area or a tidy park, walking around the huge city takes up a lot of energy. 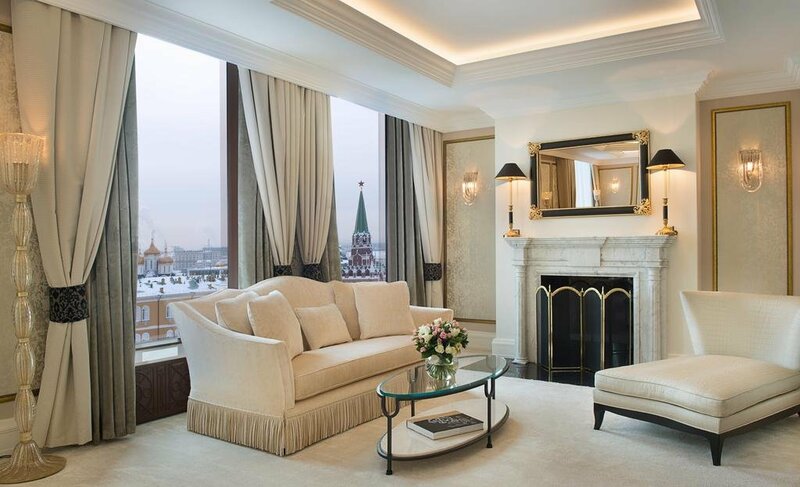 For you to have a rest in the best way, on the pages of our website there is a lot of information about the best restaurants in Moscow, best bars in Moscow and best night clubs in Moscow etc. You will find lot of choice within any price tier, from a street hotdog or shawarma for €2 to high-end restaurants. 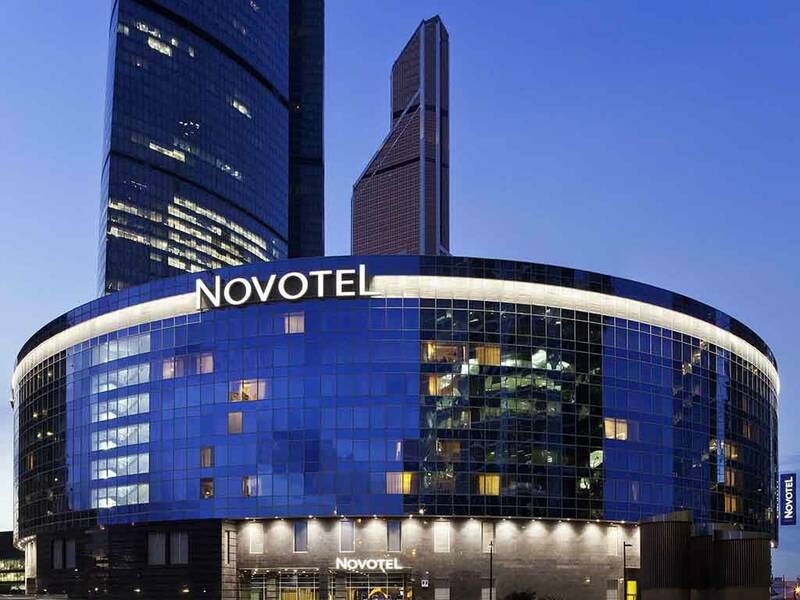 Unlike most of the hotels, the foodservice industry has been developed by the private sector in a highly competitive environment for the last 20–30 years, so now Moscow offers numerous franchises and clones of the global brands as well as a number of curious local establishments. 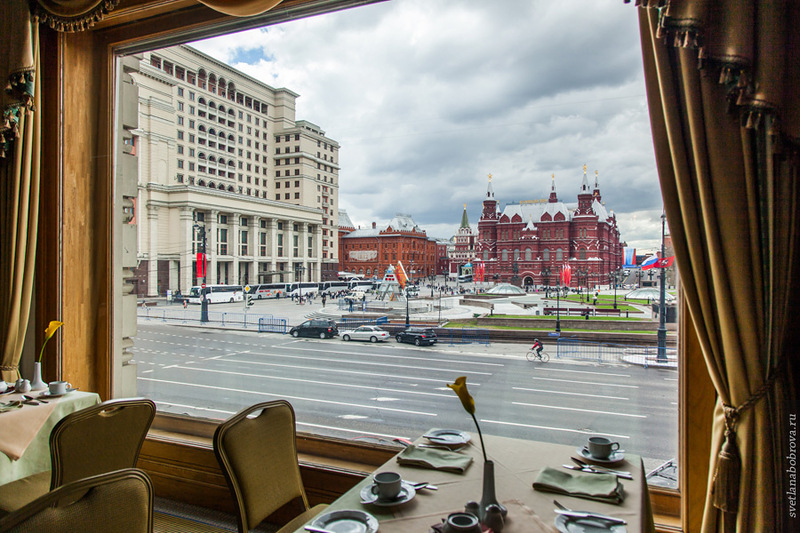 As Russians are hearty eaters, many cafes and restaurants are open nearly 24/7, so you run no risk of going hungry at any time of the day. 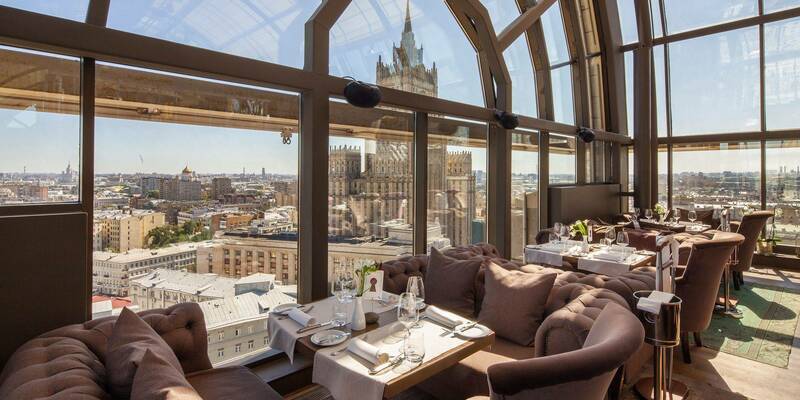 The collapse of the Russian ruble made even the best fine dining restaurants quite affordable for foreign tourists; moreover, the diversity and refinement of food in Moscow restaurants exceed those in many European capitals. 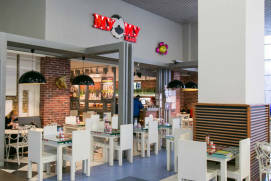 We must draw your special attention to the so-called business lunches that most cafes and inexpensive restaurants serve for €4–5 at around 12–3 p.m. for employees of the nearby business centers—this is a great opportunity to have a cheap and filling lunch. 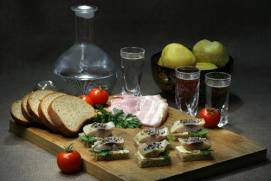 Chain restaurants with quick service and ordering from the counter: €7–10. 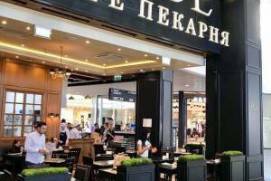 As for locations, you will easily find a bunch of fast food and chain restaurants on every corner within the Garden Ring and by every metro station. 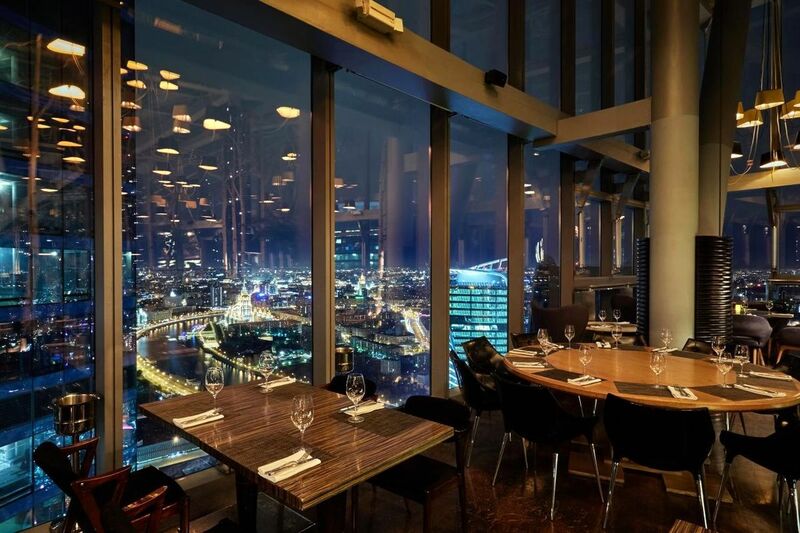 The choice of restaurants and bars is the highest in the central part of the city, especially in the lots bounded by Pokrovka and Myasnitskaya streets, Kuznetsky Most and Kamergersky Lane, Tverskaya and Bolshaya Nikitinskaya streets, and, of course, Ostozhenka, the New and the Old Arbats. 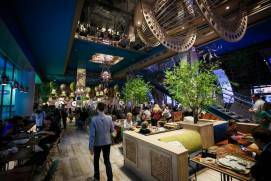 Cuisines and prices vary a lot. The most interesting places with great reviews and ratings are often hiding in bystreets or located a bit farther from the centre instead of being stationed in a heavy pedestrian flow. 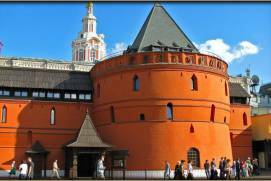 Where to eat tasty food next to Red Square, read the Frequently Asked Questions about the Kremlin. 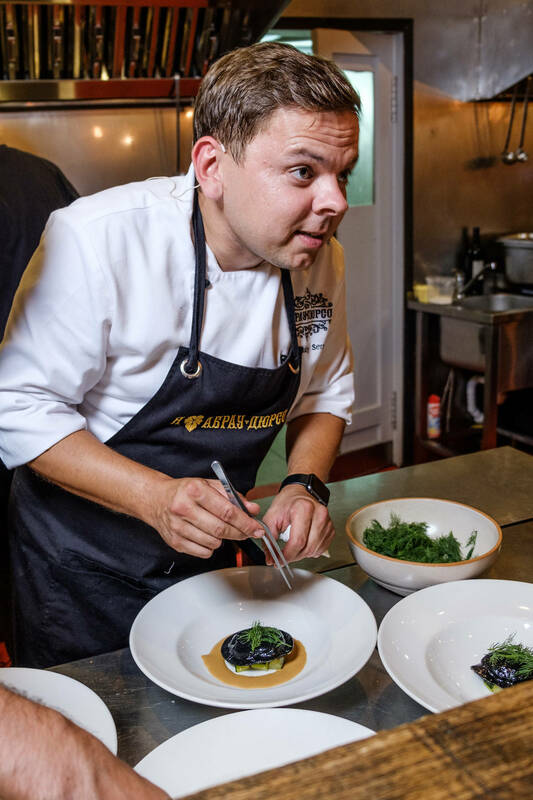 There are no Michelin-starred restaurants in Moscow, but some have made it to the top 100 in the world: Café Pushkin and White Rabbit specialise in modern Russian cuisine and offer new taste impressions even to seasoned connoisseurs. Overall, Russian, Ukrainian and Caucasian cuisines are probably of the most interest to foreign tourists: there are high-quality restaurants and cafes in any price category including fast food, and a visit to one of them can be a pleasant and memorable experience. 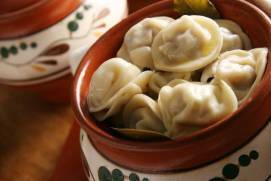 Russian and Ukrainian cuisines are based on meat, dough, vegetables, cereals and mushrooms; they are very filling and are especially good in the cold winter, accompanied by strong alcoholic drinks. 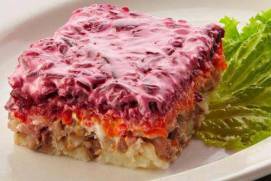 Caucasian cuisine, in its turn, is built around meat (lamb and shashlyk first of all), soft cheeses, fresh vegetables, and sweet wine. 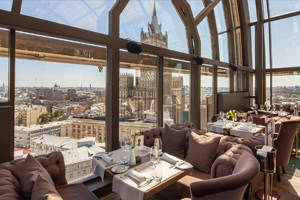 Fans of haute cuisine willing to pay for vivid gastronomic experiences can satisfy themselves by dining at a panoramic restaurant in one of Moscow skyscrapers: Sixty in Moscow City, Sky Lounge in the tower of the Russian Academy of Sciences, Mercedes Bar in the Radisson Royal, etc..
For those preferring fast food, we recommend going beyond the world’s famous brands like McDonalds, Subway, Burger King or KFC and getting to know Russian chains as well. For instance, Teremok and Kroshka-Kartoshka fall within the same price tier (under €5) but offer more varied menus in Russian style (pancakes, soups, baked potatoes, etc.). 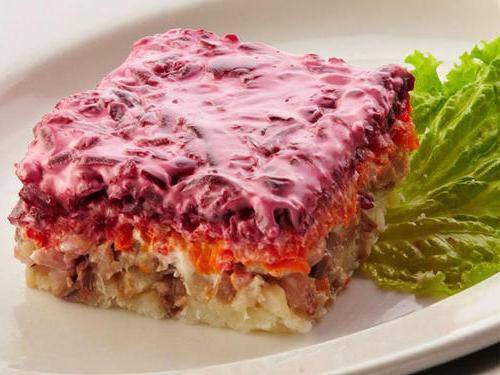 If your budget is a bit higher (€5–10), you may want to go to Shokoladnitsa, Coffee House, Moo-Moo (“Му-Му”) or Karavaev Brothers. 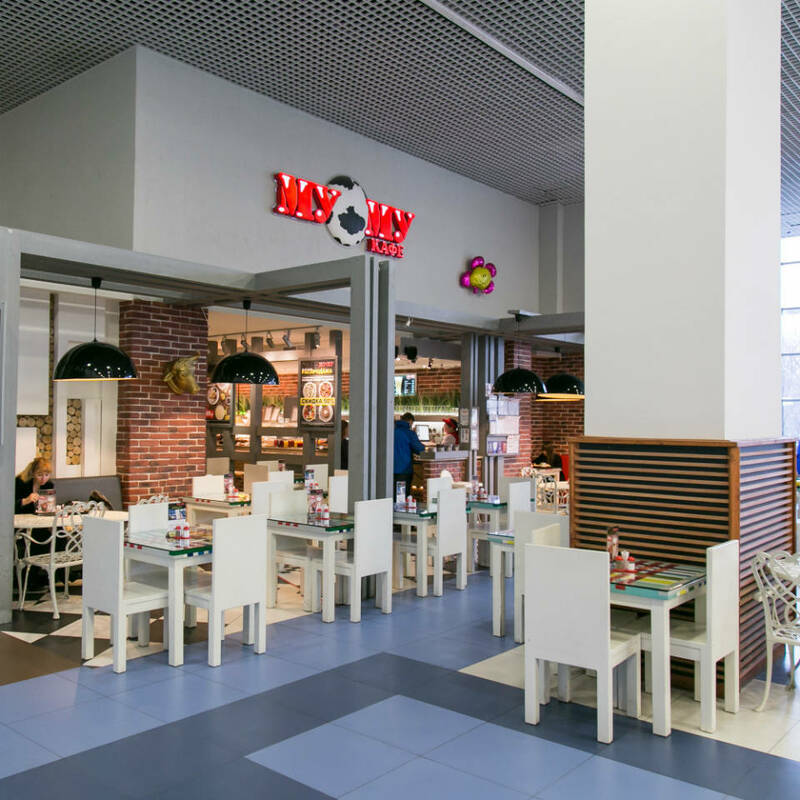 Altogether, they have nearly 500 food outlets in Moscow (so you won’t have any problem finding one within walking distance), usually offer a menu in English, and lead the Moscow chain restaurant market due to their low prices, monitored food quality practices and diverse menus. 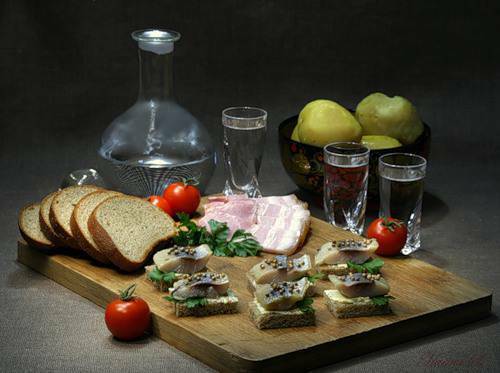 Another idea for having a cheap meal is buying prepared foods from major supermarkets, such as Azbuka Vkusa, Bakhetle, or Perekrestok. 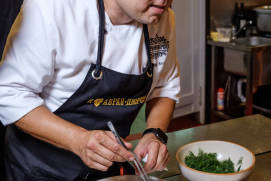 We provide more details on the foodservice industry and its major players on the Restaurants and street food page. 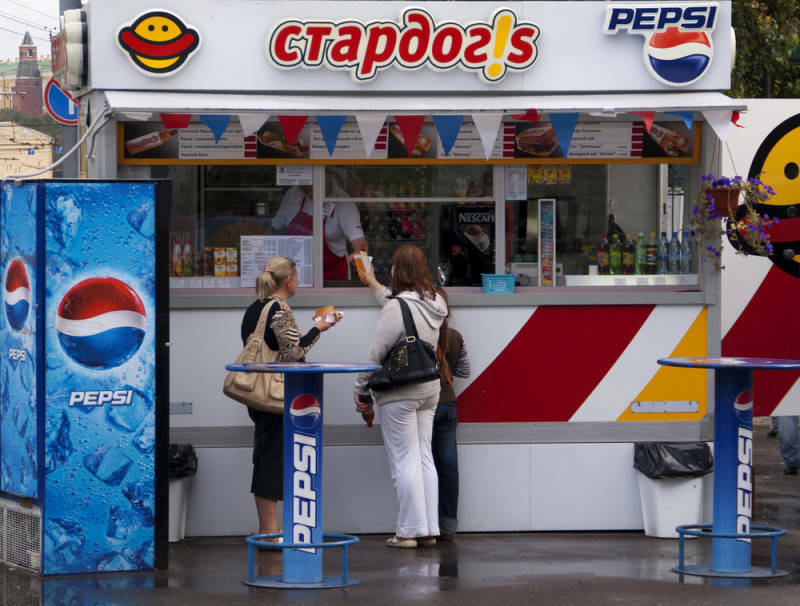 Sanitary standards for food establishments are not always complied with in Russia, so avoid street food outlets, especially at railway stations, markets and in pedestrian tunnels. 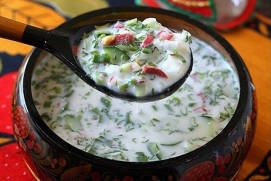 Better opt for one of the chain restaurants mentioned above or on the Restaurants & Street Food page. 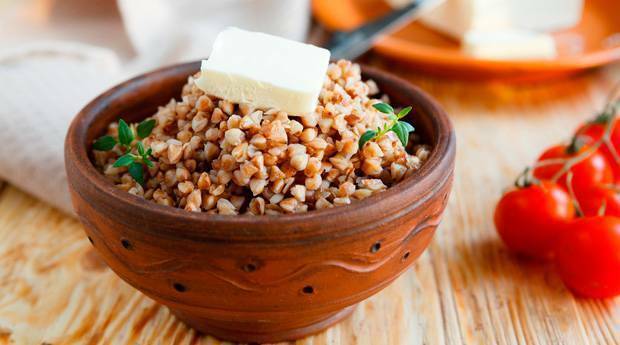 In low-budget restaurants, try to avoid ordering meals prepared from non-heat-treated products or products with a short shelf life, like mayonnaise or dairy. 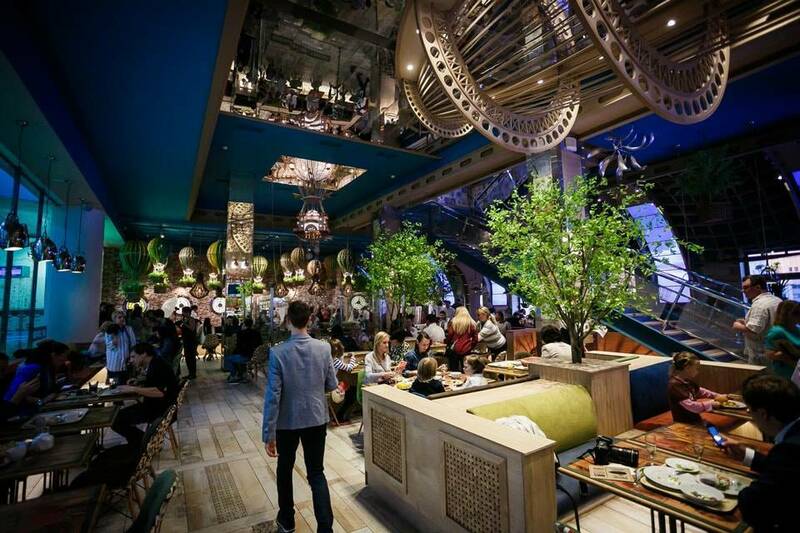 It is a common practice to tip 10% of the bill at cafes and restaurants. You are welcome to tip at your own discretion, as tips are not included in the bill, yet they make a good part of a waiter’s income. 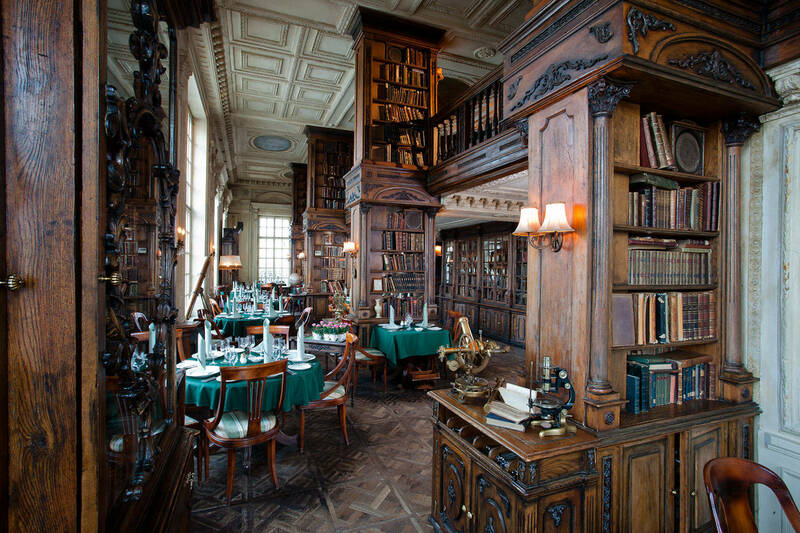 Most cafes and restaurants offer specially priced breakfast and lunch menus in the morning and afternoon or make 20–30% discounts on their basic menus. 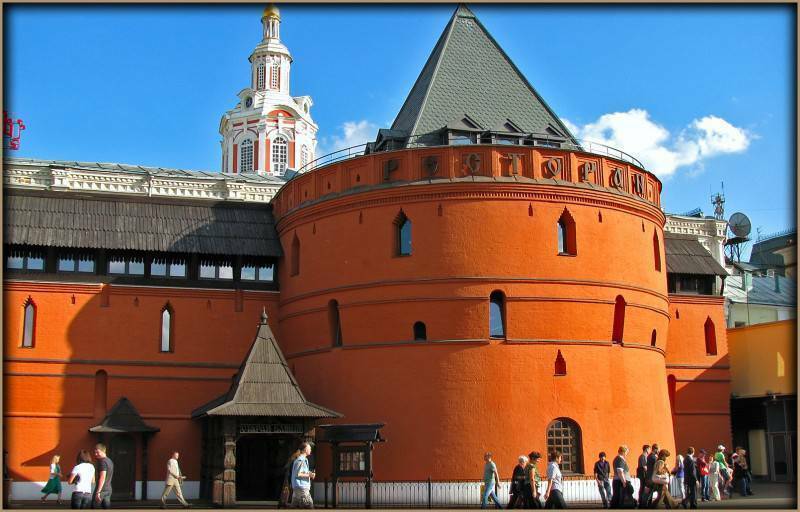 Moscow is a huge city with great distances. The concentration of food outlets drops sharply as you leave the Garden Ring area. 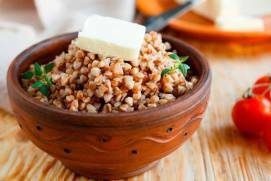 If your destination is Moscow Oblast, you’d better plan beforehand where you will eat. Alternatively, you can take some food with you. 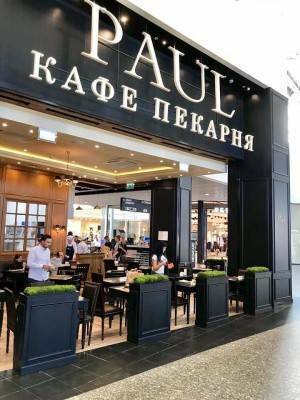 The waiters in most food outlets do not speak a word of English. 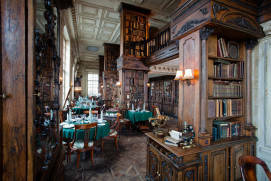 Convenient mobile applications will help you navigate the Moscow restaurants and book a table.